I am a 20 year old university student,aspiring polyglot and enthusiastic learner. While Japan will always have a place in my heart as my “childhood dream”,Korea has taken over most of my attention since 2009. I have decided many times that I’ll study Korean but it just wouldn’t work.Whether it was because of school,because of my laziness or just the overall dull life -which I want now to stay clear of it- ,I sincerely don’t know. What I’m sure of is that I want to change.I truly want to change.Myself,my outlook in life,everything. I can say now that I am a university student majoring in Korean&English studies and proud to be able to take part in this beautiful language community.My English skills still need a boost and my Korean skills are nowhere to be found right now;but this is going to change. As an aspiring polyglot and a dreamer I will try to do my best to get out of my comfort zone and finally figure out the true meaning of life so as to fulfill my dreams. I’ll definitely make my parents proud by studying and following my dreams. Stay tuned for posts about Korea,my studies&life in general. Thank you for stopping by my blog and giving me an opportunity to cater to you through some of my amateur blog writing. I absolutely love the quote in your introduction picture. It is exactly what each and every language learners feels. 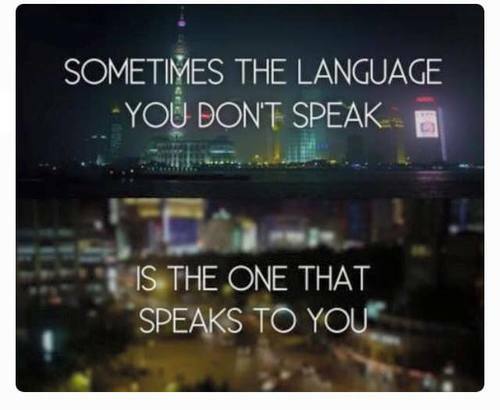 It is amazing that you are passionate about so many languages. I want to learn more languages too. But I know my limits. So I am sticking with Korean only right now. It is really inspiring to see fellow language bloggers sharing their special “language moments” and “insights” with each other. I hope to do the same. Lets keep each other motivated towards our “Polyglot” dream. You started out pretty young in your language quest, which is great. I wish I had done so too. Hehe! Thank you for your kind comment.Yes,I intend on studying lots of languages,but I’ll just focus for now on my Korean&English studies and try to incorporate more and more languages into my daily routine later. I am glad I could find your blog as I have been searching for days for good quality Korean learner blogs. Yes. I will be looking forward to your posts! Happy learning & Happy writing!